William G. Adams, Jr., M.D. Dr. William Adams is a Board Certified Sleep Specialist who has been in practice at the Sleep Disorders Center of Alabama since 2003. 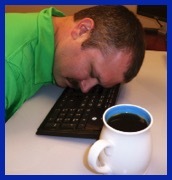 Dr. Adams is Certified in Sleep Medicine and Internal Medicine by the American Board of Internal Medicine. He has also been an investigator in many Clinical Research Trials since joining the practice. 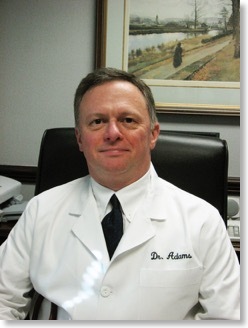 Prior to joining the Sleep Disorders Center of Alabama, Dr. Adams practiced as a Board Certified Physician in Internal Medicine beginning in 1988 in both Tennessee and Alabama. A native of Alabama, Dr. Adams earned his Bachelors of Science from the University of Alabama at Birmingham and a Medical Degree from the University of Alabama School of Medicine. He obtained his Residency Training in Internal Medicine at the James H. Quillen College of Medicine at East Tennessee State University. He also served as Chief Medical Resident at Holston Valley Medical Center. Upon finishing his residency, he joined the faculty of the James H. Quillen College of Medicine as an Associate Professor for five years. He returned to Alabama to serve in private practice of Internal Medicine and became Board Certified in Sleep Medicine.